The Betty Necklace Only $8.99! Down From Up To $22.95! 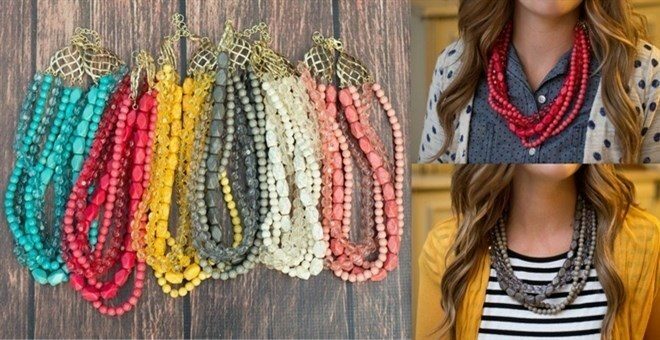 You are here: Home / Great Deals / The Betty Necklace Only $8.99! Down From Up To $22.95! Jane has The Betty Necklace on sale for $8.99 (Reg. $22.95) through 3/31! Plus shipping is $2.99 for the first item and $0.99 for each additional item! What a gorgeous necklace to add to your collection! This necklace features a variety of beading making a unique and fabulous look! It has a great quality and will be one that you wear for years to come. It is approximately 19.5″ long with a 3″ extender.